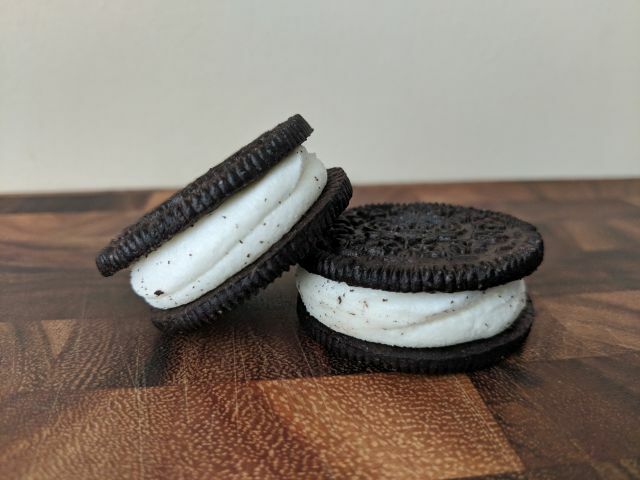 Nabisco's The Most Stuf Oreo cookies feature the most vanilla creme that they've ever put between two Oreo chocolate wafers. A 13.4-oz package cost me $2.99. If you're a fan of Oreo vanilla creme and can never get enough, The Most Stuf Oreos might do it for you. There looks to be more creme than cookie and there's a decent heft to the whole thing. 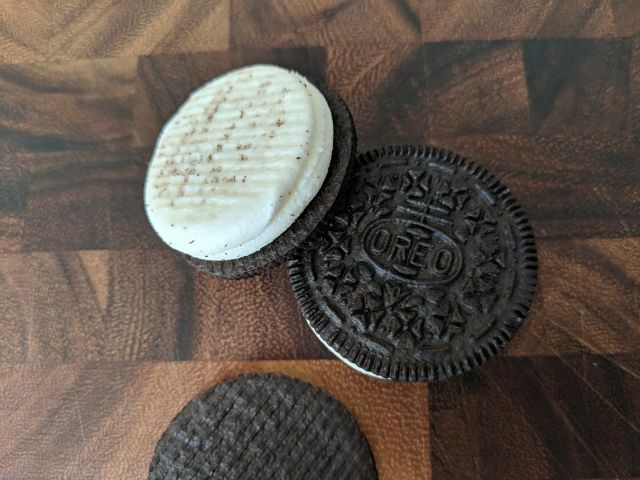 You get the same smooth paste-like texture and sweet vanilla icing flavor as you get in a regular Oreo but a lot more of it (which is to say my nephews and niece, who are icing fiends, love it). 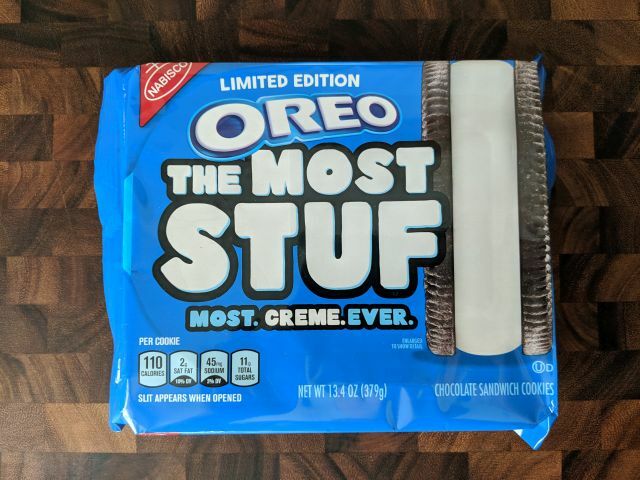 I'm more of a original Oreos kind of guy so The Most Stuf Oreos just tasted like vanilla creme with bits of crunchy Oreo wafers. A lot of the chocolate notes of the wafers just got overpowered by all the creme. I found it more enjoyable to just eat all the creme first and then the wafers rather than eating it together. When it comes down to it, how much you enjoy The Most Stuf Oreos really comes down to how much you like Oreo vanilla creme. Still, even if you're more of a original Oreos fan or really wished they'd just sell the chocolate wafers alone, you might be tempted to try it just for curiosity's sake.